Community Engagement is the personal blog for Robert Vining. This site is a place where Robert can write articles and communicate with his audience about various aspects of web development in which he is involved. 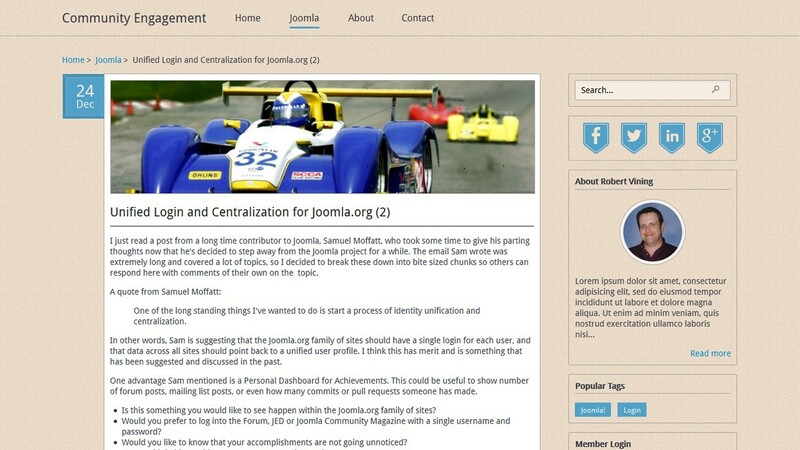 This blog was built using Joomla 3.2 with JoomlaPure, a lightweight template framework. 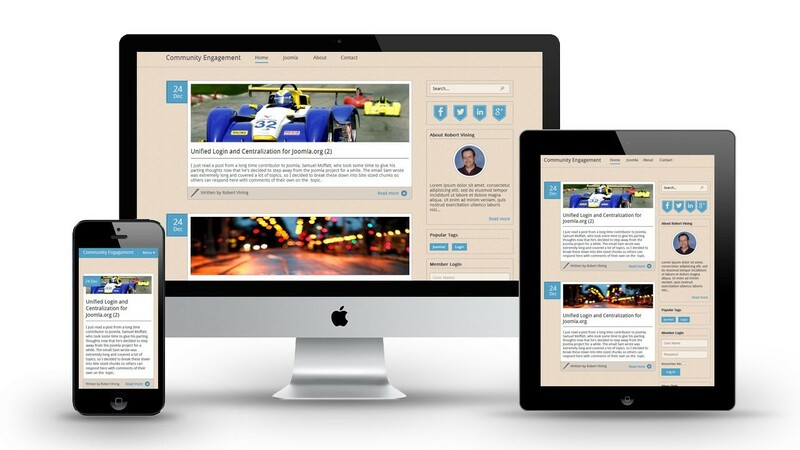 The site is a fully responsive custom design for desktop, tablet and mobile.